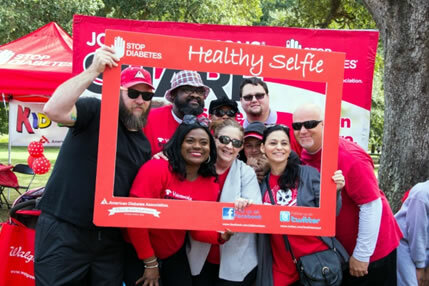 The American Diabetes Association is the nation's leading 501(C)3 nonprofit charity fighting against diabetes and its deadly consequences. Nearly 30 million children and adults in this country are diagnosed with diabetes, so the mission we have is an urgent one. Everything we do forms the underpinning for that mission: to prevent and cure diabetes and to improve the lives of all people affected by diabetes..
HOW MANY ARE AFFECTED BY DIABETES*? 29.1 million: The estimated number of children and adults in the United States who have diabetes. 86 million: The estimated number of Americans who have prediabetes. 1.7 million: The number of new cases of diabetes diagnosed in people aged 20 years or older in 2012. 1 in 3 children born in the year 2000 will develop diabetes in their lifetime if current trends continue. The ratio is even greater for minority children with 1 in 2 developing diabetes in their lifetime. Based on recently announced diagnostic criteria for gestational diabetes, it is estimated that gestational diabetes affects 18% of pregnancies. Prior studies have shown women who have had gestational diabetes are at risk (of up to 60%) for developing diabetes in the next 10 to 20 years. An impressive 73% of every dollar spent supports research, advocacy, and services for people affected by diabetes. The Association holds the Better Business Bureau's (BBB) Wise Giving Alliance Seal for National Charities. 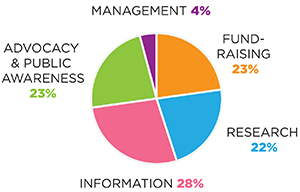 The BBB Wise Giving Alliance evaluates each charity's governance, fundraising practices, solicitations and informational materials, as well as how it spends its money. The Alliance's standards of measurement hold charitable organizations to higher principles than those required by law, thereby making the seal convey a strong and comprehensive confirmation of each organization's accountability. Every gift is tax-deductible to the fullest extent of the law and the donor will receive an acknowledgment for his or her donation.